The 2008 recession left approximately 8.4 million Americans without jobs, while others experienced dropped wages and reduced work hours, forcing many to lose their homes and turn to the rental market. The U.S. housing market also lost $7 trillion in home equity and also left many homeowners owing more than their house was worth. The affordable housing market experienced its own losses, which are still being felt at the national level. In the past two years, Congress removed 100,000 housing vouchers and the federal government hasn’t added government housing in more than a decade, according to the Center on Budget and Policy Priorities. 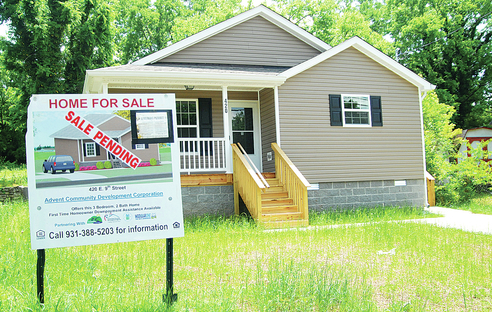 The Columbia Housing & Redevelopment Corporation aims to defy the national trend and provide affordable homes to those in need despite budget cuts, as well as educating individuals on ways to work themselves out of a poor economic situation. As part of the proposed 2015-2019 Tennessee Consolidation Plan, a housing and community needs survey revealed rehabilitation assistance as one of the most important housing needs for a community. To CHRC Executive Director Trent Ogilvie, rehabilitation means educating an individual on how to life a quality life just as much as providing a home for someone who’s fallen on hard times. Losing the ability to obtain a voucher removes a person’s chances of escaping an area of concentrated poverty and giving them opportunities to have access to more available homes. Since 1959, the CHRC’s mission is to avoid a concentration of poverty in Columbia and Maury County. It now oversees 296 public housing units in the five communities of Southern Hills, Creekside, Northridge, Northridge Annex and most recently, Oakwood. It has also helped to build four single-family houses, with four more planned for this year, Ogilvie said. In order to avoid concentration, there has to be diversity in housing options and individuals must receive a qualified amount of monthly income, or as Ogilvie puts it,”Love income does not mean no income.” Cost is based on 30 percent of a person’s monthly income and if a child is under 18, he or she must be enrolled in school. CHRC’s program requires more of its applicants than a record of total income, however. The root of the problem is not the lack on income, Ogilvie said, but centers around a person’s behavior and understanding that things can be done to ensure they don’t remain in poverty. Rent and utilities, home upkeep, lack of employment and finding proper child care are three of the biggest issues people struggle with, he said. Rents have seen a 34 percent spike since 2002, with many now paying more than 50 percent of their total gross monthly income for it. Watching the process for an individual to one day buy a house for their family without the needs of public housing gives the client a sense of self-responsibility and a sense of pride that goes beyond any dollar amount, he said. “We encourage literacy. We encourage education. We want individuals to know that affordable housing and keeping that housing affordable goes back to taking pride in where you live, valuing yourself, valuing the property that you have, and we’ve come a long way as far as an agency,” Ogilvie said. At CHRC’s most recent inspection by the U.S. Dept. of Housing and Urban Development, the agency received a 94 out of 100, which Ogilvie said is one of the highest scores it’s received despite losing 35 percent of its capital funding for housing repairs. The CHRC has had such an impact that Maury County now has one of the highest demands for public housing. With 792 applicants currently on its waiting list, repairing the existing facilities and educating individuals to overcome the need for them is as important as it has ever been, Ogilvie said. Powell, Jay. "Affordable Housing: More than a Place to Live." Columbia Daily Herald 23 May 2015: 2. GateHouse Media, Inc. Web. 1 July 2015.